Maybe one day, it's still an open possibility, if we do we have custom coded alot of work in Java, Php, HTML and so on to make some awesome stuff that you only see on massive servers websites. well alot is going on atm, the map is corrupt because of buildcraft and lwc, and we may be changing back to bukkit. Remember to use Donation offer "Easter" for 30% off of any package on our online store. New Donation OFFERS!!!! 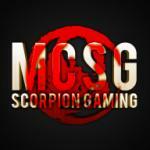 Code:"Easter" 30% off entire basket (ends 15/04/13) Code:"EasterSunday" 50% off "standard packages" (ends 01/04/13) Use at checkout on "scorpiongaming.buycraft.net"
yeah its not a reset on purpose, its a relaunch of the server, plus we will now be hiring atleast 10 new members of staff, all will have to be 16 or over.